Yes, here we are, banging the old ‘business blogging’ drum again but we really can’t stress how important blogging for your business is to your online presence. By writing just a few blogs a month for a couple of months you will soon see growth in the traffic to your website, an increase in your sales and a stronger relationship with your target audience. 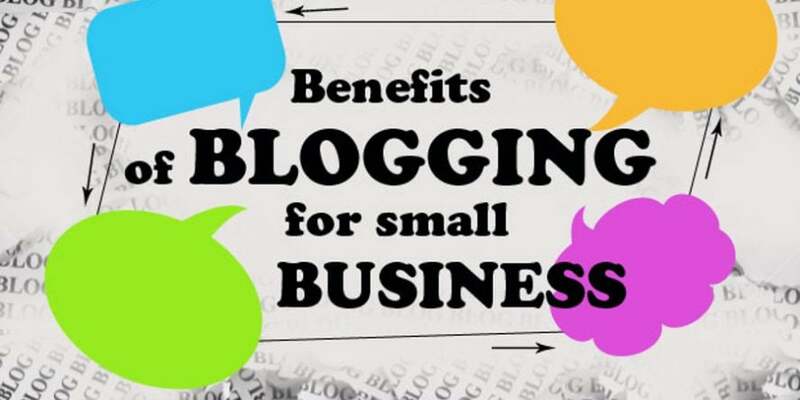 In this article we talk about the main benefits of blogging for your business, and remember; when we say blogging we mean keeping it frequent (at least once or twice a week on a continuous basis) – then you will notice these benefits for your business. Blogging for your business will help drive traffic to your website, if people search for the title of your blog post, for example ‘how to get a stain out of my carpet’ and that is the title of your blog then they will be directed to your website by Google. You can also share the blog post links on social media and this will direct more traffic to your website too. Many businesses find that their business blogs help them convert traffic to their website into real leads because visitors to the website see an up to date and active website with lots of content that allows them to learn more about the company and the services or products the company offers. Business blogs also have the ability to connect people to your brand because the tone in which you use in your blogs is the same tone of your business in real life, on social media and through your website content and media. Blogs give your business the chance to connect and engage with your target audience. When you blog for a business you will quickly note an increase in SEO too, no longer do you have just one page talking about the service you page, your keyword is being used on the website pages and your blog posts too, giving more pages for the Google robots to index and therefore increase the ranking of your business website on search engines, like Google. Regular blogs also give your target audience to keep coming back to your website because they know you update your blog on a regular basis and they are keen to see what the next blog is about, what tips and advice they can gain from you or what your opinion is on the latest industry news.